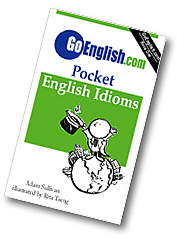 Today's Idiom = "Feel Like It"
Example: "Why are you taking off your shirt?" Reply: "Because I feel like it." Example: "Why is your dog rolling on his back?" Reply: "I don't know. Because he feels like it?" Example: "You don't want to come out tonight?" Reply: "No. I just don't feel like it." The "it" is the thing you want to do when you "feel like it". Example: "You don't want to go running?" Reply: "No. I don't feel like it." Example: "You didn't feel like running last night?" Reply: "No. I just didn't feel like it."